To measure voltage across any load,first connect the probes of multimeter to the voltage terminal as shown in right image.Then connect the leads across the load as shown in left image. 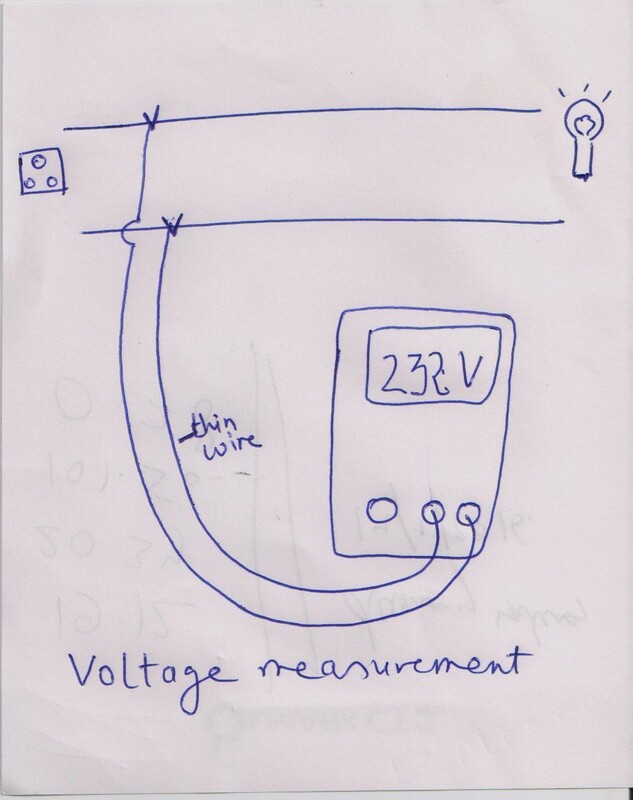 In above example to measure voltage, we have connected a voltmeter parallel to it which shows the voltage accross the load. Voltmeter has two probes one probe has connected to live wire and second has connected to the neutral wire. Voltage in terms of diffrential potential is measured by voltmeter. It is to mention that no current flows through the probes in voltage measurement because voltage terminals acts as open circuit(Very high impedence).